The Card Grotto: It's Always Tea Time! 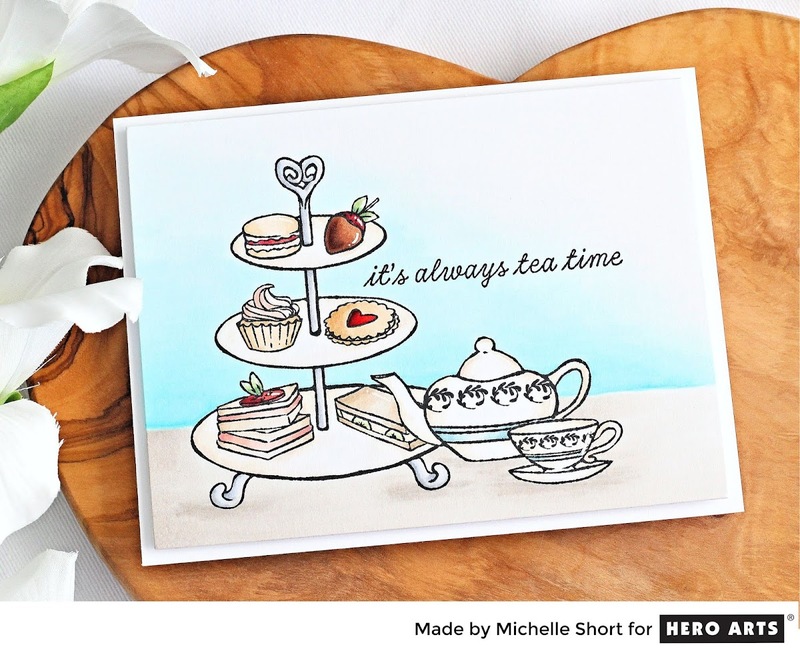 Hello there, I am over on the Hero Arts Blog today sharing a card using the new Tea Time set that was released yesterday as an add-on to the My Monthly Hero Kit. It is a wonderful tea party/afternoon tea themed set and it is so fun to create your own cake stand with yummy treats on it! As you can see, I did a lot of masking on this card. I really anted to create a one layer scene and I find masking is the best way to do this. It adds a lot of depth to the scene. For more details on how I made the card, please head over to the blog post. Thanks so much for stopping by today. Have a great day! Awesome masking Michelle! Love your project! Your right time of masking, but youve done it so so well, it looks like it was already a stamp. Great colours reminded me of fabulous cream teas & vintage prints. Thanks for sharing your inspiration. This is a wonderful design. 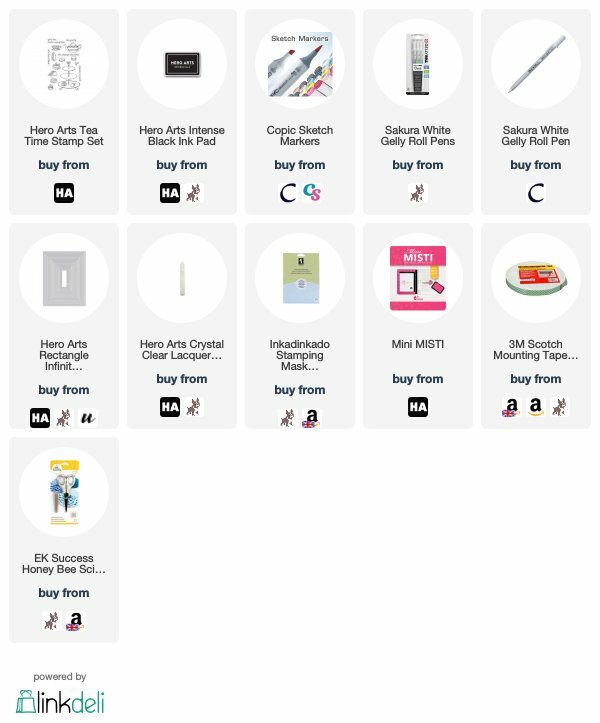 And I can’t wait to get this set. I like the perspective and the tea cake rack with the goodies on it. Great masking, I need to start doing that to make better projects. Thanks for sharing your awesomecard.